A few weeks ago, the Chesapeake Bay Foundation released their Midpoint Assessment – a report that highlights the Chesapeake Bay jurisdictions’ progress to meet their Chesapeake Bay restoration goals. The report shows that while we are seeing improved underwater grasses, crab populations, and a decrease in dead zones, some states are not on track to meet their goals to reduce nitrogen, phosphorus, and sediment pollution. The Bay jurisdictions have until 2025 to fully implement the plans necessary to meet the Chesapeake Clean Water Blueprint. This Blueprint set scientific maximums for the amount of sediment, nitrogen, and phosphorus that the Bay can handle during a state of restoration. The Chesapeake Bay Foundation’s report organized the midpoint results by state. Maryland was successful in achieving its goals for reducing sediment and phosphorus, but not nitrogen. To improve the nitrogen levels, Maryland will need to explore further work in reducing agricultural runoff and septic system pollution. Pennsylvania was far off on reaching their sediment and nitrogen goals due to polluted runoff from agricultural and urban areas. They have much work to do to reach their 2025 goals. Virginia reached their goals in nitrogen and phosphorus, but not sediment and needs to focus on reducing urban and suburban runoff. Delaware was successful in sediment reduction, but struggled with reducing nitrogen from many sources. The District of Columbia was overall very successful, though they still face challenges with reducing urban and suburban runoff. New York has much more work to do to reduce their nitrogen pollution, and West Virginia has achieved almost all of their goals, with the exception of nitrogen from urban and suburban runoff. For more a more detailed analysis, check out the full report here. 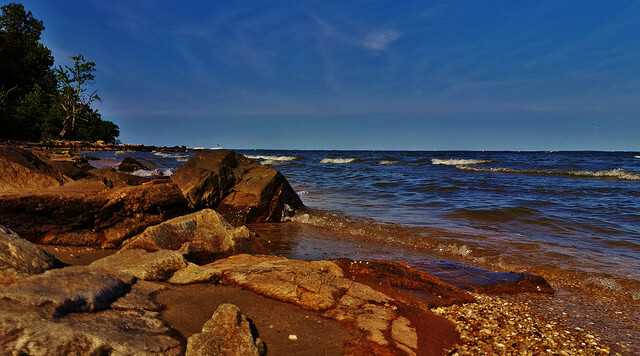 The Chesapeake Bay cleanup effort has become an example for other watersheds in the country, due to the collective efforts of the regional partnership. For the past two decades, federal, state and local agencies, nonprofit organizations, academic institutions and citizens have come together to secure a bright future for the health of the Bay and the millions of people and wildlife that depend on it. The Chesapeake Bay TMDL calls for a Midpoint Assessment, where the jurisdictions will review their progress towards meeting nutrient and sediment pollution load reductions. As one can imagine, each state possess its own set of hurdles. Some jurisdictions have challenges related to stabilizing funding needs for projects like agricultural best management practices and innovative stormwater retrofits, which have proven to be some of the best solutions to address excess loads. Investing in these practices have been very beneficial to jurisdictions in the watershed, but can be tough to implement by state legislatures. As our population continues to grow there is also a need to account for growth and climate change impacts. To make matters worse, pollution loads from nonpoint sources continue to be a growing issue in the watershed that has been difficult to manage. Lastly, there is a need to address the sediment and nutrient pollution coming over the Conowingo Dam on the Susquehanna River, which provides the Chesapeake with 70 percent of its freshwater. These demands must be met in order to achieve our water quality goals. input from stakeholders, scientists, nonprofits, and local governments, and each jurisdiction is required to develop WIPs at three distinct phases before the 2025 deadline. Understanding where challenges lie within each of the respective jurisdictions will allow the Chesapeake Bay Program partnership to streamline implementation. Once released, the Midpoint Assessment can be used to better assess constraints that currently present themselves in the cleanup plan. Until then, let’s take a look at how each of the Bay states have characterized and evaluated prior WIPs, remaining challenges for meeting pollution targets, and how the public can engage in the next Phase of the WIP development. The WIP development in New York has been a collaborative effort between New York State’s Department of Agriculture and Markets, the Upper Susquehanna Coalition and Cornell University. Implementation took place at the county level by the Soil and Water Conservation Districts who share more than 5,000 conservation projects. Pollution reduction from the agriculture, wastewater, and stormwater sectors have been a main focus in the previous phases of the WIP. During the Phase II WIP, New York failed to fully implement its nitrogen and sediment reduction goals. While New York has comprehensive programs, particularly for agriculture, tracking best management practices (BMPs) and sharing that information across projects has been difficult. Fortunately, some improvements were made to curb phosphorus leaching through wastewater and fertilizers. Through the legislature, several laws were passed to limit these pollutants in commercial use. Reinvestments in wastewater, sewer, and septic upgrades were also made to clean water infrastructure. For the Phase III WIP, advocates in New York would like to address the future impact of climate change and improve data tracking. The Upper Susquehanna Coalition is currently developing the National Environmental Information Exchange Network (NEIN) for future data reporting on the Chesapeake Bay Program. The data will be used for WIP III planning and specific data needs. Prior to the Phase III WIP development, Pennsylvania’s Phase II WIP had little teeth to enforce county targets leading to the state falling short of meeting its goals. Future improvements such as a county level scale and enforceable local TMDL efforts could prove beneficial for the Phase III WIP development. Pennsylvania faces a number of challenges to meeting its commitment to achieving pollution reduction. Insufficient funding resources continue to put a strain on common sense practices that benefit clean water in Pennsylvania. The state lacks a dedicated funding source to implement best management practices and clean water programs. Establishing a dedicated clean water fund, such as the proposed HB20 would be crucial. Along with this, state resource agencies have not received adequate funding over the last several years. Pennsylvania’s Department of Environmental Protection (DEP) has been slashed by roughly 40% over the past 14 years, which has increased wait times on permits and decreased and their ability to provide oversight. There is a dire need to revamp the agriculture cost share program and nutrient credit trading programs. In addition to addressing these shortfalls, advocates are pushing for a comprehensive plan outlining public engagement to garner buy-in from the community and stakeholders for the Phase III WIP in four pilot counties (Lancaster, York, Adams, and Franklin County). Through this process, the state is hoping to better engage individuals from a variety of backgrounds to develop BMP's to help meet the TMDL. The DEP and the state are doing this from a local level, they want to make sure they allow the counties and their local governments are able to set forth goals that are quantifiably reachable for their region. The state has developed a steering committee dedicated to restoring its rivers and streams via the WIP process, and the public is encouraged to engage in steering committee meetings to provide input on the WIP, which focuses on local government engagement. For any of that to succeed, however, it is imperative that EPA exerts its authority to implement backstops for pollution reduction goals at the state level, so that goals will be met even if the state’s efforts falter. Development Council (Region 9). This effort has been primarily focused on finding connections among the goals and mandates of local governments with the goals of the Chesapeake Bay Program partnership. Pollutions reductions from the agriculture and stormwater sectors remain a particular focus in West Virginia. The Eastern Panhandle Regional Planning and Development Council (Region 9) staffs the Region 9 Chesapeake Bay Program Coordinator, to work with local governments and utilities to develop projects across multiple sectors to include agriculture and stormwater, This role key is to identify critical matching funds for projects to meet the goals of the TMDL. Two projects in the City of Charles Town and the Town of Bath exemplify how the local governments leveraged existing funds for projects that reduce wastewater discharge and provide solutions to stormwater management through green infrastructure practices. While these projects have helped to mitigate pollution entering the watershed success lies in helping local government solve their identified problems by tapping into the Chesapeake Bay Program effort. Inadequate funding for conservation practices continues to be an impediment in West Virginia. For the Phase III WIP development, advocates in West Virginia aspire to see more capacity for local governments to enhance on the ground project coordination. Planning for green infrastructure and innovative land conservation planning have funding needs, but would be ideal to consider in the development of WIP III. Additionally, there is a need for more robust public awareness throughout the state. Much of the focus on the WIP has been technical without a clear vision as to why these practices benefit local waterways which benefit public health and prosperity for the state. to the various nonpoint sources within the basins, assessing current data tracking and reporting systems, determining maximum implementation goals and methods to fill program funding gaps. Moving forward, targeted local partners and contractors will need to be involved with public forums and discussions as needed. During the next Phase of the WIP, targeted local partners and contactors will need to be involved with public forms and discussions as needed. DNREC has expressed a need for additional resources from the EPA to achieve expectations for milestones. Delaware is on track for Phase III WIP planning targets for phosphorus, but needs work on their targets for nitrogen. Accounting for future stressors, such as population growth and climate change, must be analyzed to ensure nutrients loads are met. During the development of the Phase III WIP, Delaware needs to ensure strong state best management practice verification plans and local government engagement in the WIP development to create clear numeric goals for localities. The state of Maryland has been actively engaged during the WIP development process. Every county in Maryland submitted a Phase II WIP focusing on nitrogen, phosphorus, and sediment reductions with a focus on agriculture, forests, atmospheric deposition, septic, stormwater, and wastewater sectors. Past WIP processes have provided invaluable information about local conditions and capacity to reduce pollution. The plans submitted by the counties have identified specific opportunities to increase the rate of progress towards cleanup goals. and state agencies. Presentations will be made by staff of Maryland Departments of Agriculture, Environment, Natural Resources, and Planning on topics such as the Conowingo Dam, wastewater, agriculture, funding, and more. During the Phase III WIP development, advocates would like to see MDE request that counties undertake a program assessment that builds on their local Phase II WIP as the first step in local Phase III WIP planning. Planning should include county planning targets to close the gap. Additional tools and technical assistance could also provide more guidance and assistance to counties during the development of the Phase III WIP. In addition, there is a need to fill vacancies within the MDE and other agencies involved in pollution reduction efforts. Funding constraints continue to be a barrier within the state and at the county level to achieve water quality goals. Localities in Virginia have lacked direction on how to best implement the WIPs and have expressed concerns to the Department of Environmental Quality (DEQ). A recent statewide election cycle positioned Ann Jennings, an established advocate for the Chesapeake and the former Chesapeake Bay Commission Virginia Director, as the Deputy Secretary of Natural Resources for DEQ. Nonprofits in Virginia remain optimistic that the future of WIP development in the state will be successful with the new state leadership. Stakeholder groups have now convened under the new administration to prepare for local area planning goals. This summer the Local Government Advisory Committee to the Chesapeake Bay Executive Council is hosting a series of roundtables to hear from local elected officials. Each roundtable will include a facilitated discussion about the challenges, successes, and opportunities communities across the Commonwealth face in protecting and restoring waterways. The information provided will be shared with Virginia’s leaders in order to foster a better understanding of the connection between local issues and priorities and the state’s commitments to protecting downstream waters. water quality standards. Local area efforts could ultimately be seen as a tool to improve accountability and help guide financial investment for cost-share programs. Overall, connecting the WIP to local water is critically important. Unlike the other Chesapeake Bay jurisdictions, the District has limited space for farmland and green space. Much of the District is comprised of imperious surfaces from parking lots, large buildings, and sidewalks. Due to this, stormwater runoff continues to be the largest contributor to poor water quality entering DC’s combined sewer system. Luckily, stormwater runoff is being mitigated through a variety of efforts to include new municipal separate storm sewer system (MS4) permits, multi-sector general permits, federal facility stormwater compliance, wastewater treatments plant upgrades, and the stormwater reduction credit trading program. The District also has several outreach programs for residents designed to reduce stormwater contamination such as Canopy 3,000. This program was designed to expand the number of trees planted on private property and public spaces with a goal to cover 40% of the District with tree canopy by 2032. Each year, the District and its partners have continued to exceed annual planting goals of Canopy 3,000. The nation’s capital has stringent MS4 permit issued by the Environmental Protection Agency (EPA), which contains requirements for conversion of impervious surfaces to pervious surfaces through green infrastructure. This program is critical since federal facilities make up a large portion of impervious surface in the area. Federal facility compliance with stormwater requirements is a huge challenge in DC, Maryland, and Virginia (DMV) and their combined efforts with be essential to enable DC to meet its pollution goals by 2025. The lack of DC authority to compel the development of effective stormwater control plans by the agencies or enforce them presents and important opportunity to help hold those agencies accountable. Keeping tracking of contaminated stormwater runoff from new commercial facilities and dwelling units will be a focus of the upcoming WIP developments. The Chesapeake Bay TMDL Midpoint Assessment is expected to be released at any moment, and will be a reflection of how far the Bay community has come to meet our clean up requirements. Continued support from local elected officials, members of Congress, businesses, nonprofits and local communities is vital to achieving cleanup goals and to restoring the watershed to health. The region’s economy and its people depend on these efforts to clean up the thousands of rivers and streams. Mariah Davis is the Field Manager at Choose Clean Water. This post is part of an ongoing series on the midpoint assessment and long-term goals of the Chesapeake Bay cleanup effort. In a recent post, I described the broad failure of Chesapeake Bay states to follow EPA's basic expectations to account for pollution growth under the restoration framework known as the Bay TMDL. This failure is one important contributor to the current state of the Bay restoration, which is years behind schedule. If states don't hold the line on new pollution by offsetting or otherwise accounting for growth, their jobs only become that much more difficult, and the final restoration of the Bay gets that much further out of reach. In this post and the next, I focus more closely on one state – Maryland – to examine how it responded to EPA's expectation to account for growth and demonstrate what a year of unchecked growth means for water quality in the state. Maryland has earned its reputation as a pioneer in smart growth policy through the passage of a series of land use laws over the past several decades. 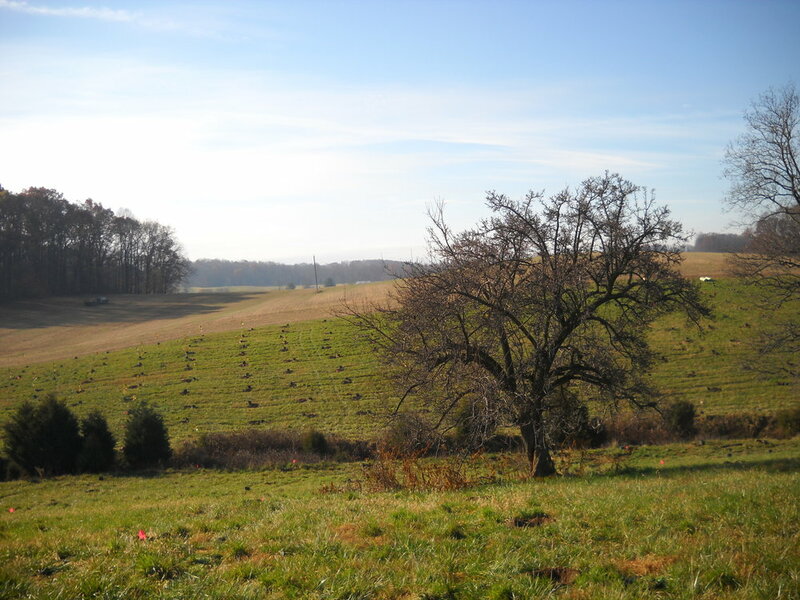 The first of these laws, which served as the foundation for Maryland's smart growth vision, established a statewide map of "Priority Funding Areas" into which the state would steer funding and investment to avoid subsidizing development on increasingly scarce agricultural and natural areas. But after several decades, experts question whether Maryland's smart growth vision has successfully materialized. It is a difficult question to answer because it is impossible to know what would have happened in the absence of all of Maryland's smart growth laws, regulations, and policies. How much more sprawl would have occurred in this rapidly growing region? How many more acres of forests, wetlands, forested riparian buffers, and wildlife habitat would have been cleared for development? What we do know is that Maryland was losing its natural landscape at an astonishing rate in the mid-twentieth century. In the 1960s through the late 1970s, the state lost forested land at a rate of hundreds of thousands of acres per decade, according to federal estimates. This rate of forest loss tapered off through the 1980s and even reversed for almost a decade between the late 1980s and late 1990s. But by the turn of the century – ironically, just after the passage of the state's primary smart growth laws – the rate of forest loss began to surge again, hinting at a problem with the effectiveness or implementation of the laws. According to U.S. Forest Service estimates, between the late 1990s until the housing bubble burst, Maryland lost more than 10,000 acres of forest per year. That is the equivalent of an area the size of Baltimore City about every five years. And this level of habitat destruction is not expected to end any time soon. In fact, projections made by Maryland's Department of Planning, by the state-federal Chesapeake Bay Program Partnership, and by academic researchers all show a significant amount of forest conversion over the next several decades based on several independent analyses of demographic, economic, real estate, and other trends. Every year, the Maryland Department of Planning releases an annual report with an update on smart growth trends. The most recent report, which includes data for 2015, once again showed "mixed results," with some counties doing an excellent job steering new residential parcels into smart growth areas while other counties showed little or no ability to confine development into the areas they set aside for growth. The department concedes that, despite an uptick in the percentage of new residential development within smart growth areas since the housing bubble burst, the "long-term trend shows a decline." On December 8, the Maryland Department of the Environment published in the Maryland Register proposed regulations to establish a water quality trading program for nitrogen, phosphorus and sediment. A public hearing was held on December 18 and written comments must be submitted by January 8. The regulations were developed together with Maryland Department of Agriculture (MDA) and a broadly representative Water Quality Trading Advisory Committee (WQTAC). “Trading“ allows an entity that can reduce one or more pollutants more cheaply than another to install pollution control measures that provide a greater reduction than required by law, and sell the excess reduction, or “credit“, to the other discharger for whom the cost of pollution reduction is greater. The result is that the credit generator makes money for the sale of credits, and the buyer saves money by using the credits to meet its discharge limitations less expensively, achieving the same overall reduction at a lower cost. In a time when funding is tight, this can result in a bigger bang for the buck in meeting the Bay TMDL goals. How can trading work properly? To work properly, the program must ensure that a trade does not cause or contribute to a violation of any water quality standard or TMDL. 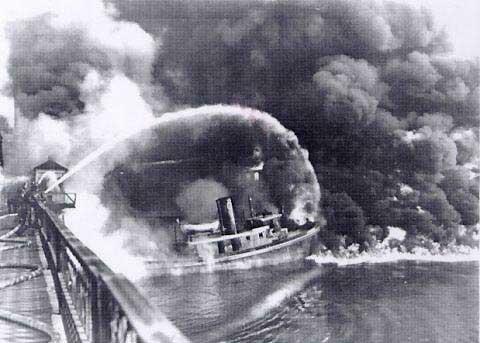 A trade should also result in overall net pollution reduction - a feature known as “additionality.“ When this happens, we not only get lower cost compliance, but an overall reduction in pollution. Before a discharger can generate a credit, it must comply with all pollution reductions required by law, referred to as its “baseline.“ Reductions beyond this generate the “credits.“ Credits can also be purchased to “offset“ a knew or increased discharge, which is required for any new or increased discharge to a water body which is not meeting water quality standards. To be sure that trading is carried out in compliance with the Clean Water Act (CWA), EPA issued series of Technical Memoranda (TMs) setting forth its “expectations“ for key elements which any trading program in the Chesapeake Bay watershed must incorporate. These key elements include determining “baseline“, protecting local water quality, duration of credits, credit calculation, accounting for uncertainty of the water quality benefits delivered by a best management practice (BMP) installed by a non-point source discharger, representative sampling, and credit certification and verification. They also call for establishment of a publicly available “credit registry“ on which each credit can be registered and tracked, and an opportunity for notice and comment at meaningful times in the process. MDE’s regulations must be evaluated under these criteria to determine how they will fare when reviewed by EPA for compliance with the CWA. The proposed regulations cover baseline determinations plus calculation, certification and use of credits, and trading procedures. When a discharger buys a credit, the credit is incorporated into its NPDES permit. The buyer/user is liable for ensuring permit compliance, even if the BMP on which the credit is based fails. Any performance failure by the credit-generating practices should be addressed in a contract between the seller and buyer. The regulations provide for an online registry under which each credit, when certified by the agency, gets a number, and it will be tracked through its lifetime. Credits are expressed in terms of pounds of a pollutant. Procedures are established for inspection and “verification“ that the credit practices are performing properly. The regulations also provide enforcement measures, including corrective action orders, suspension from the program, and other sanctions, as well as an appeal process. Credits generated by farming operations are reviewed and certified by MDA under regulations that it issued in 2016, COMAR 15.20.12. Those regulations are designed to work together with the regulations recently proposed by MDE, on which both agencies collaborated. While the credit registry will be publicly available, the only opportunity for public comment under the proposed regulations is when a credit buyer proposes to use a credit in its NPDES permit, not at the time of credit certification. Because credit certification is when the agency determines whether baseline has been met and whether the credits have been properly calculated using approved methods, some contend that the public should be allowed to comment at this earlier stage in order to effectively address key issues in the credit generation and calculation process. What are some issues with the Maryland Nutrient Trading Program? As the regulations were being developed in consultation with the WQTAC, not surprisingly, there were disagreements over some of the provisions. Those disagreements provide a key to issues likely to be raised by commenters. They will likely include adequacy of protection for local water quality, clarity of the baseline requirements, adequacy of the uncertainty ratio, certification and verification procedures, and public participation. For example, on local water quality, the proposed regulations, to their credit, provide that when the water body where the credit will be used is “within any impaired waters“ (does not meet water quality standards), the credit must be generated in the same subwatershed. While the proposed regulation also appears to require that the credit should be generated upstream of the user, that is not clear in the text. Furthermore, outside of those circumstances, trades are allowed to take place within any of three broadly defined regions: the Potomac River basin, the Patuxent River basin, and the Eastern Shore and Western Shore river basins, including the Maryland portion of the Susquehanna River. While in theory a credit generated on the Eastern Shore and used on the Western Shore might result in no net adverse effects in the middle of the Chesapeake Bay, the credit will not protect the water quality in the place of use on the Western Shore. Regarding the uncertainty ratio, EPA’s applicable TM provides that this should be presumptively 2:1 when a credit is generated by a non-point source, to account for the uncertainty in the pounds of pollutant reduction which a particular BMP will actually produce. MDE’s regulations prescribe this ratio where credits generated by a non-point source are used by a wastewater treatment plant, but fail to do so where the user is a stormwater point source discharger. The reason for this distinction is unclear. MDE proposes creating a “reserve pool“ by imposing a 5% reduction (a “reserve ratio“) in the number of credits generated in any transaction to be set aside for use in situations such as replacement of credits that underperform or a lack of available credits. If not used for these purposes any part of the “reserve pool“ can be permanently retired so as to result in an improvement in water quality, but there is no obligation to do this. A “retirement ratio“, by contrast, would require the entire amount to be retired, thereby ensuring that each trade results in a net improvement in water quality (the “additionally” referred to above). The regulations do not include this. EPA has been promoting trading for over 20 years, but only eleven other states in the country, including Pennsylvania and Virginia, have trading programs. They are still evolving and their effectiveness has yet to be determined. While the principles can be articulated, effective implementation has proven challenging. MDE’s proposed regulations will stimulate lively discussions of the issues facing any trading program, especially when the credits will be generated mostly if not entirely by nonpoint sources. MDE leaders believe that, if a truly effective trading program can be put in place, the benefits will outweigh the risks that are inherent in a program where the water quality benefits of various BMPs may not be known until years after they are installed. If you have any questions, please contact Ridge Hall, board member for the Chesapeake Legal Alliance. What is the Conowingo Dam? The Conowingo Dam is a large, operational hydroelectric dam in the lower Susquehanna River near the town of Conowingo, Maryland close to the Pennsylvania border. As one of the largest non-federal hydroelectric dams in the United States, the dam has a surface area of 9,000 acres and a maximum length of 4,648 feet. Construction was completed on the Conowingo Dam in 1928 and it opened in 1929. The dam is owned by Exelon Corporation, an American 100 energy company headquartered in Chicago, Illinois. The dam was built to generate electricity via hydroelectric power. When water from the dam passes through, propeller-like pieces called turbines spin. This then turns a metal shaft in an electric generator, which is the motor that produces electricity. The more water that passes through the dam, the more energy that is produced! Why is the dam significant to the Chesapeake Bay clean-up? Over time, the dam has unintentionally acted as a “pollution gate” stopping sediment (and attached pollutants) from going down stream into the Chesapeake Bay. However, at this point in time, the reservoir behind the dam is essentially full and is trapping smaller and smaller amounts of sediment over time. When the region experiences large storms that create strong floods, this scours the sediment and other pollutants behind the dam and sends them downstream into the Bay. Original estimates stated that the dam would not be at trapping capacity until 2030 or 2035, but the dam is approximately 95 percent full right now, and recent assessments have determined the dam is no longer stopping pollution at all. This poses several significant problems to the Chesapeake Bay cleanup. First, the dollar amount that was considered enough to meet pollution reduction goals, around $19 billion, is not going to cut it. Second, even with full implementation of Maryland’s federally-required cleanup plan, it will not be enough to achieve water quality goals on its own. Because of this, Maryland is currently proposing to test dredge a small amount behind the dam to remove some sediment and determine whether this approach would help to improve the health of the Bay. Third, Pennsylvania is significantly behind their cleanup goals, but with the dam filling up, the Keystone State may be asked to do more. This issue may inevitably cause tension between the states about who is responsible for the extra pollution reduction because of the sheer cost of additional reductions. You might be wondering what Exelon is planning on doing to support the removal of built up sediment and attached nutrients from behind the dam. The short answer is - nothing…yet. However, Exelon cannot operate the dam without a license from the Federal Energy Regulatory Commission (FERC). FERC's current license for Conowingo was issued in August 1980 and expired in September 2014; Exelon is currently operating on a temporary annual license. Exelon has filed an application with FERC for a renewed long-term license. This offers us a rare opportunity to require Exelon to reduce some negative impacts of the dam and support the health of the Chesapeake Bay. From my perspective, the Chesapeake Bay cleanup was and will always be a team effort among all of the jurisdictions - Virginia, Maryland, West Virginia, Delaware, Pennsylvania, New York, and the District of Columbia – and the federal government. We need to come together as a community to determine the most effective and least burdensome course of action; one that leads us to a cleaner rivers and streams flowing into a healthy Chesapeake Bay. President Trump’s FY2018 proposal to cut 31 percent of EPA’s budget would eliminate the Chesapeake Bay Program and the people who coordinate it. 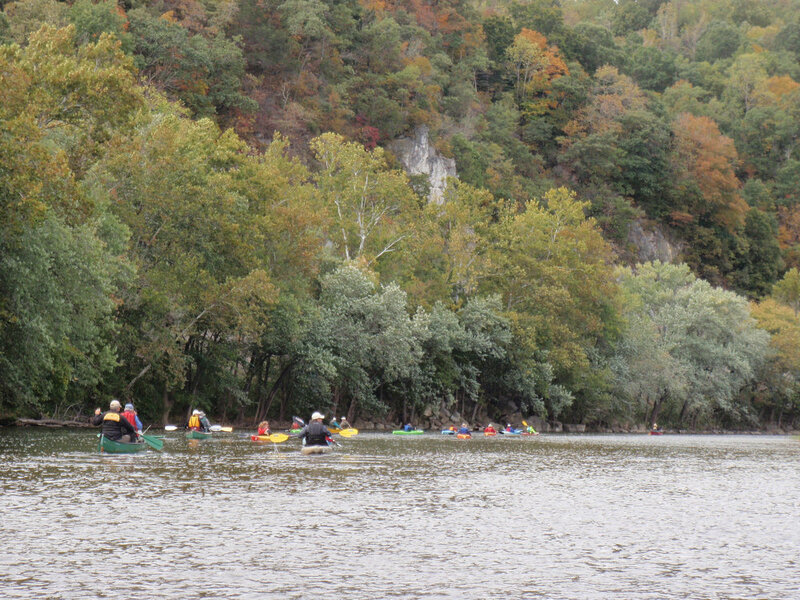 Considering the impacts of Conowingo, it is more important than ever to keep the cleanup on track, including the crucial federal investments that improve local water quality. Please contact your Member of Congress and tell them how important the Bay restoration effort is to you! To learn more, please visit the Chesapeake Bay Program's website. Chante Coleman is the director of the Choose Clean Water Coalition. Where Are We in the Clean Up? I’ve never been afraid to swim in the Chesapeake Bay. Granted, I only moved to Annapolis about two years ago, but I talk to people all the time who were afraid 10, 20, 30 years ago to step foot in the Bay (except for maybe Bernie Fowler). This perception of a 'dirty Bay' is changing, and for good reason: The Chesapeake Bay is getting cleaner due to the mandated clean-up plan. Under the Chesapeake Bay Clean Water Blueprint, watershed states are required to implement 60 percent of practices to reduce nutrient pollution and sediments flowing into the Bay by this year and 100 percent by 2025. In June 2017, the Chesapeake Bay Foundation released its Chesapeake Bay Blueprint Progress Report, which evaluates the short-term progress made by the six states and the District of Columbia to meet the longer-term pollution reduction goals. This report highlights the significant progress we have made toward these goals. It also highlights shortcomings so that we can direct our energy and take corrective action to make these improvements before 2025. For example, we see progress in areas like reducing pollution from wastewater treatment plants and factories, while almost all of the states are behind in meeting their urban and suburban runoff goals. While Virginia is on track to meet its phosphorus goal for agriculture and installed 6.7 million linear feet of stream exclusion fencing, it is slightly off track for nitrogen and sediment reductions. At the Coalition, we realize the importance of agriculture best management practices in order to reduce agriculture runoff to the Bay. This is why we are launching a campaign called Our Water, which will focus on increasing clean water conservation funding in Virginia for the agricultural sector, so that farmers are able to install forest buffers and other conservation practices for little or no cost. Maryland is slightly off track in reducing nitrogen pollution from agriculture and for nitrogen, phosphorus, and sediment in urban/suburban areas, but efforts to upgrade sewage treatment plants are on track, with 67 upgraded so far. In order for Maryland to meet its 2025 goals, the state needs to implement more stormwater reduction practices in urban/suburban areas. Reducing runoff from rain events will prevent the amount of pollution entering Maryland waterways and eventually the Chesapeake Bay. In addition, it is important that the state continue to stay strong on septic system requirements and upgrades. Pennsylvania is has the most ground to make up when it comes to meeting its 2025 goals. To address this, Pennsylvania instituted a Reboot Plan, which includes a goal to plant 95,000 acres of forest buffers and inspect 10% of farms for nutrient/manure management plans. One of the main issues in Pennsylvania is budget short falls that are reducing the investment needed in agencies and technical services at the state and county levels. The Coalition will be working in Pennsylvania in order to ensure increased funding at the state-level for clean water goals. But Where's The Good News? The good news is: the clean-up is working. Wastewater treatment plants are being upgraded, conservation practices to reduce runoff are being installed, the submerged aquatic vegetation is returning to the Bay, and wildlife populations are increasing. The bad news is that we still have a lot of progress to make and the current Federal Administration is threatening to dismantle our cooperative clean-up plan. In fact, President Trump proposed to zero out funding for the EPA Chesapeake Bay Program in his fiscal year 2018 budget. It is important to remember that the states cannot achieve these goals without support, and that the federal funding they rely on to make progress is under attack. Without these resources, the states stand to lose millions of dollars for on the ground restoration projects that are improving local communities. The Coalition will continue to work with members of Congress to ensure the restoration effort continues and critical federal funding is restored. Remember, 11 million people get their drinking water from the Chesapeake Bay watershed. We urge you to contact your Member of Congress and ask them to support the Chesapeake Bay restoration effort. To learn more about the Coalition’s work to ensure the clean-up continues, click here. Chanté Coleman is the director of the Choose Clean Water Coalition.